Hand-picked heavy infantry, well used to all kinds of combat. The word 'praetorian' comes from the elite guards of the Praetor, the commanding general. 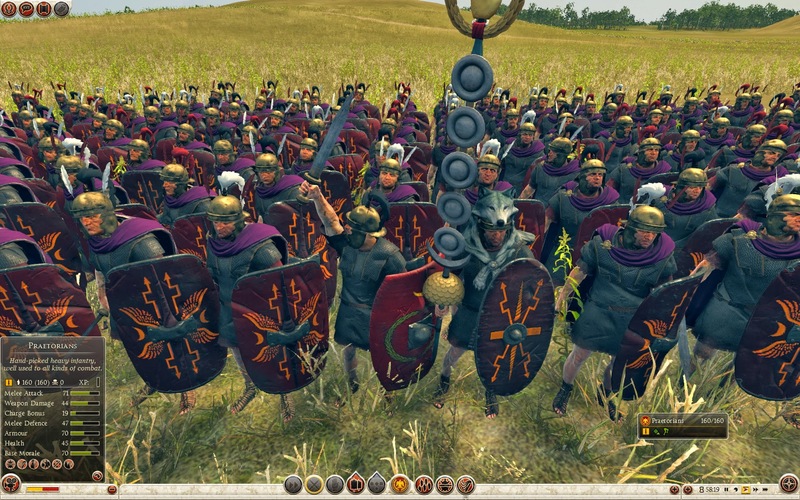 Founded in the 6th century BC, the cohors praetoria consisted of the hand-picked infantry or cavalry who guarded their general and his command tent. At first, they were recruited exclusively from among Roman citizens, but later other Latin peoples were allowed to join. 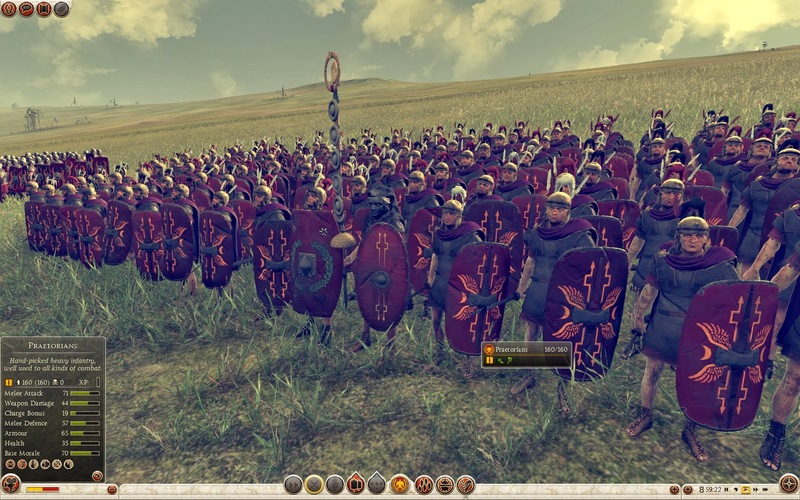 The praetorians enjoyed prestigious status in the Roman army and, when Augustus came to power, they were the only soldiers allowed inside Rome. Augustus anticipated that they could be used politically as well as militarily, something of a gamble for the new Emperor, as he was keen to assert the Republican nature of his regime. 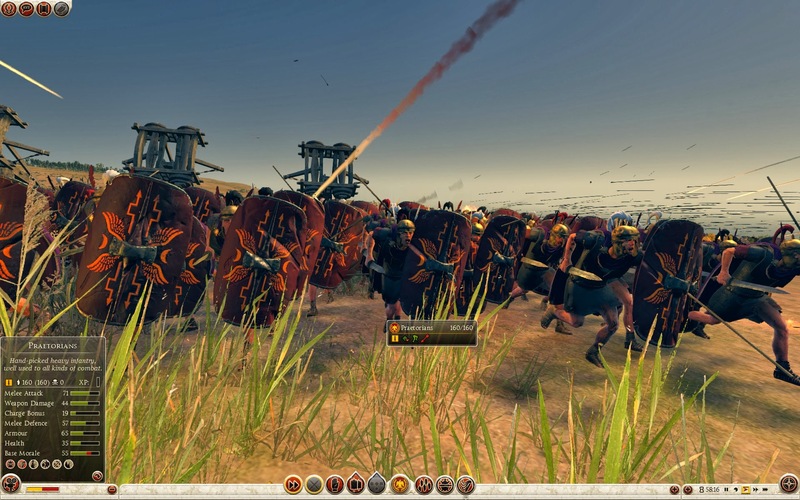 Barracked just outside Rome, the praetorians were charged with keeping order during all public events. Later, as the Imperial bodyguard, they served in military campaigns only when the Emperor himself was present. 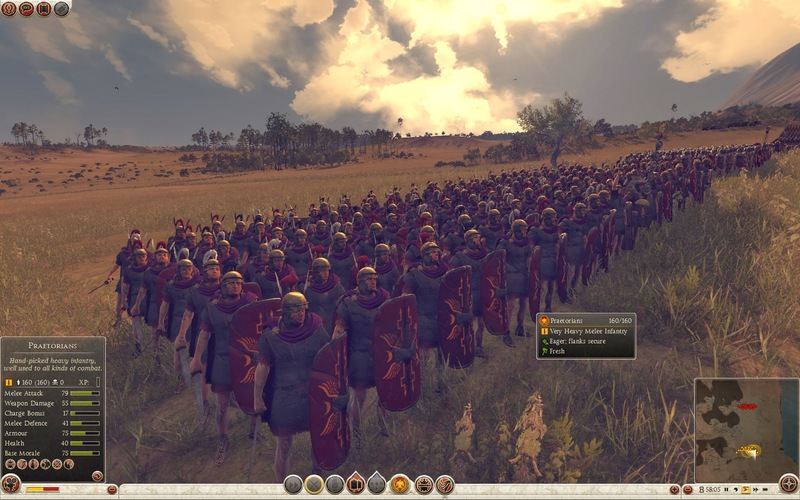 This happened frequently as later Emperors emerged from the ranks of the army during the 1st century AD. Improved attack and fatigue resistance for a short time. This unit provides a morale bonus to nearby allies.